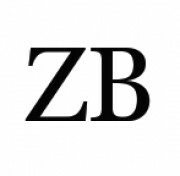 New York, NY, August 6, 2015	(Newswire.com) - Zarvic Brothers feels the 60 cents a share offer by Total Merchant is not in the best interest to shareholders. Zarvic Brothers feels the buyout of Metalico leaves a few questions. Was metalico shopped to a large amount of buyers to ensure shareholders receive the highest value? Zarvic Brothers feels the value of Metalico is worth more than 60 cents per share based on a few components. Zarvic has communicated with a potential buyer that would be interested in select Metalico locations. With actual interest to acquire Metalico locations and to spin those locations off piece by piece would help reduce debt and add value to the company. Zarvic sees a higher value in Metalico by breaking the company up by selling assets, and locations, combined with restructuring the board, and restructuring the business model to create greater total value to shareholders. In Zarvic's opinion the total of each location combined of real estate and business operations is worth more than the 60 cents per share offer by Total Merchant. Metalico's current board paid a financial advisory group that deals in distressed assets a large sum of money to assist the company in restructuring efforts that has provided no added value to shareholders. Zarvic's opinion is spinning off select Metalico locations, restructuring the current board and restructuring the current business model as well as shopping Metalico to another buyer would enhance shareholders value beyond the current 60 cent per share buyout by Total Merchant.